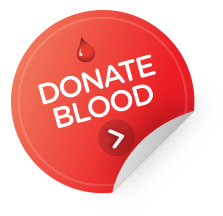 BloodNet is a web-based system that allows staff in health facilities across Australia to order blood and blood products in a standardised way and to do so, quickly, easily and securely from the Australian Red Cross Blood Service (Blood Service). Access to BloodNet is only available through the BloodPortal. To register an individual account follow the process outlined in the instructions and tip sheets available below. Existing users logging into the BloodPortal can select the BloodNet tile to access the production site. To access the Training Site, click on the Training tile displayed at the bottom of the BloodPortal screen. Laboratories that are not yet using BloodNet can schedule their implementation by contacting BloodNet Support. BloodNet Support contact details are listed below. Interfacing health provider Laboratory Information Systems (LIS) into BloodNet to eliminate double-entry and speed the transfer of data between all stakeholders in the blood sector is now possible. For more information visit BloodNet Laboratory Information System (LIS) Interfaces page.